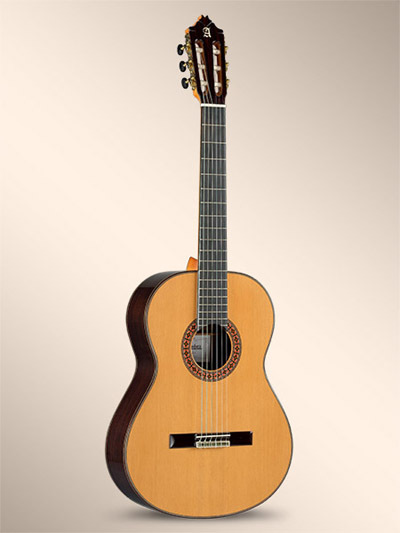 The Alhambra 8p is an all-solid concert-quality classical guitar with a wonderful richness. It features a bridge-shaped cross bracing pattern to give the top maximum volume and projection. This is an excellent choice for the serious guitar player.